We understand that every charity is different and requires a unique approach to ethical, responsible or mainstream investment. We can make your cash reserves work for you and help Trustees uphold their obligations of diversifying exposures while maximising return. Existing banking, current account or asset management relationships are not affected. Giving you access to a variety of banks. Only UK banks regulated and licenced by the FCA and PRA. Kept within the UK banking system. According to your provider and liquidity preferences. A managed account with a dedicated relationship manager. Are you getting the best interest rates from your bank? The market share for the top five UK banks is a staggering 82.6% while there are over 150 banks taking deposits in the UK. According to the Charity Banking Spotlight report, over half of charities have stayed with their banking partners for over 10 years. How do you separate restricted funds from unrestricted funds? We understand that funds need to be kept separate and can offer separate master accounts for restricted and unrestricted funds. 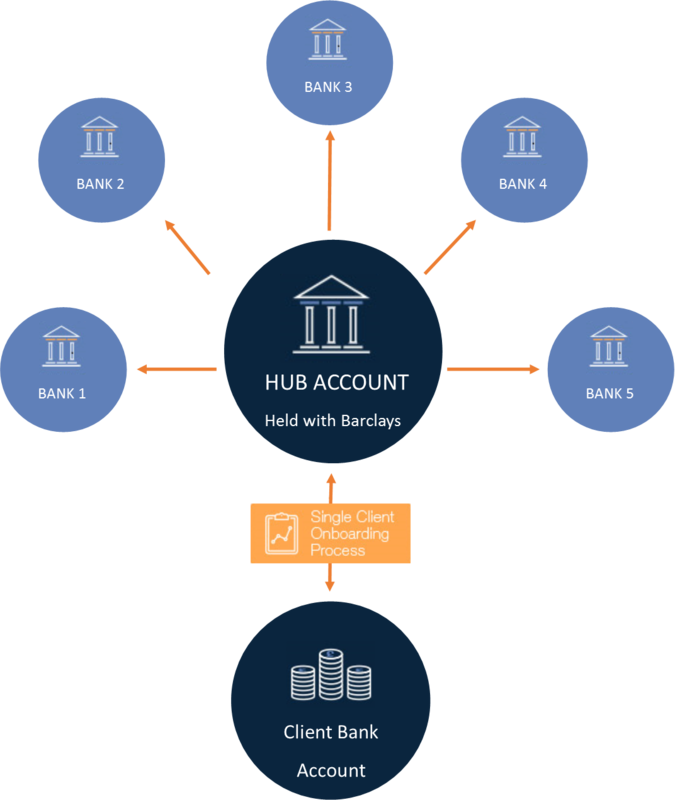 Each account can be managed independently with a holistic view of bank exposure across all the funds of the charity. Can interest earned on restricted funds be used as working funds? No, interest earned on each type of funds must be treated in the same way as the source of those funds. Will we have the hassle of moving our banking arrangements? No, your day-to-day transactions will remain with your existing banking providers. Our service opens a new ‘hub’ account in your name with Barclays Bank for you to deposit cash for us to manage. Why wouldn’t we do this ourselves? Some charities are large enough to have a dedicated treasury function but most are not. It’s time consuming for charity trustees to keep in touch with daily rate changes across multiple banks. Each account opened requires all relevant security checks and resulting paperwork. We take all this hassle away from our clients, with one simple sign-up process, and ongoing rate updates, application handling, and execution of client requests. Do you provide a (quarterly/ yearly) statement of activity? A transaction report can be printed or saved in pdf format at any time from Your Profile page. The report lists all movements on your account, for any time period, including details of charges that have been made. An annual statement of interest received and its tax treatment will be provided for easier completion of your tax return. Each annual tax statement will be saved into Your Profile. In addition, you can create a statement of the interest you have received for any time period via our digital platform. Is the service open to only certain types of charity cash? Any cash that is available to be invested is eligible for our Cash Solutions. It could be retained income, investment income, grant funds or the proceeds of a recent fundraiser. We can look at your schedule of liquidity requirements so that any cash not immediately required is earning interest until needed.